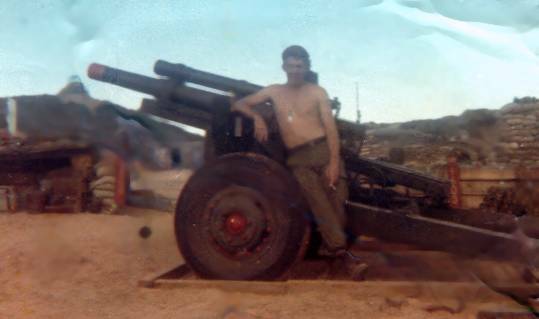 I arrived on LZ Bayonet about the second week in September, 1968. I was in country about one month before Charlie Battery went to the field. The guys in the original group were getting ready to go home. The pictures you are about to see are of my short stay at Bayonet. I never returned to LZ Bayonet. 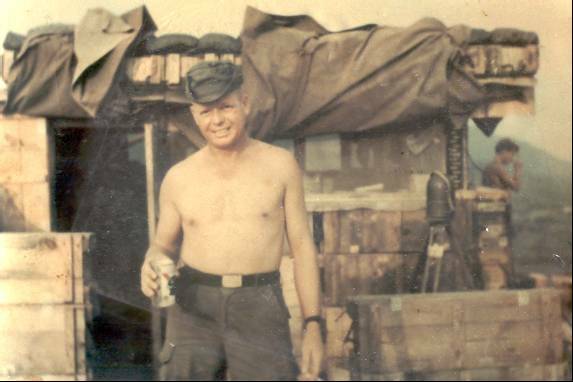 Chief of smoke SFC John E. Ray, KIA on LZ Professional May 1969. 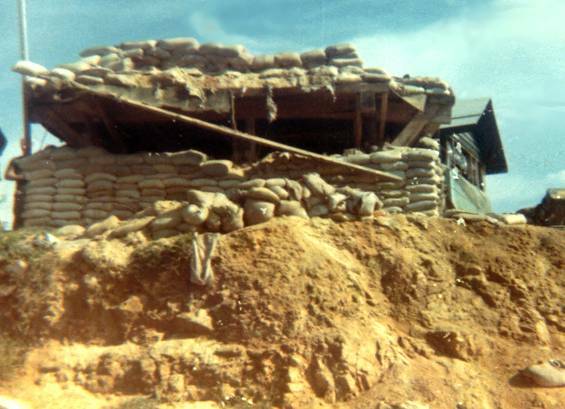 Perimeter bunker at LZ Bayonet hit by sappers September 1968. 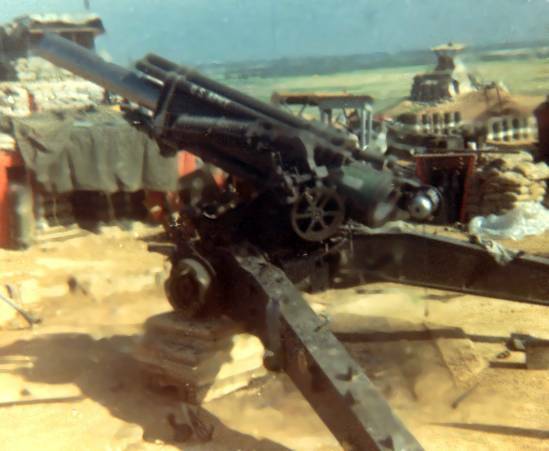 155 howitzer hit by a satchel charge. 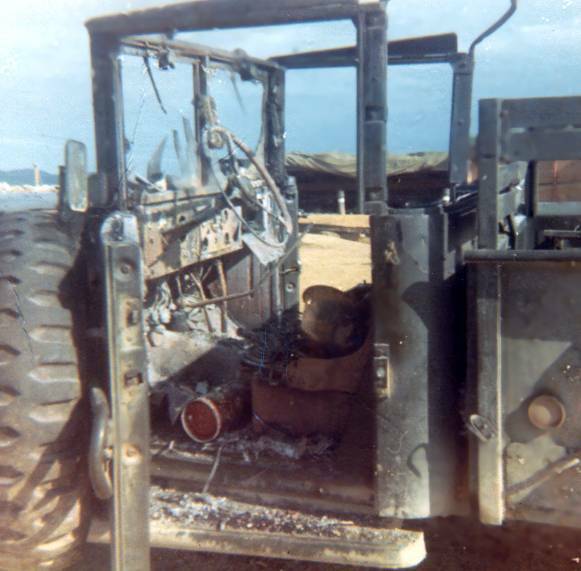 Truck hit by a satchel charge. Another truck hit by a satchel charge. Dead sapper killed on LZ Bayonet. He is responsible for all of the damage that you saw above. 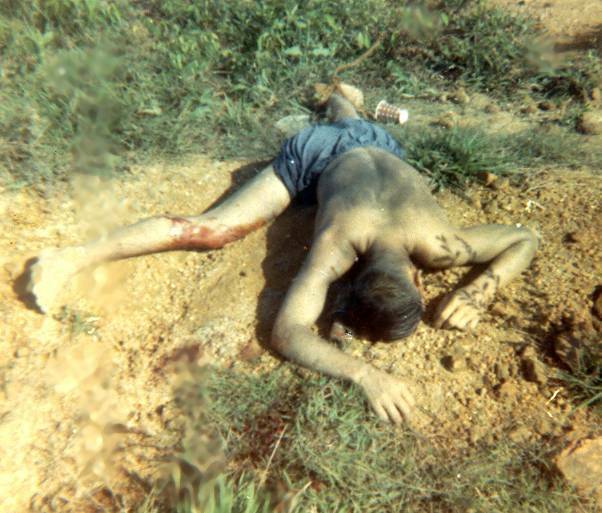 This was my first dead gook to see, I never took anymore pictures of dead bodies while I was in country. My mother didn't like it nor did my wife-to-be.